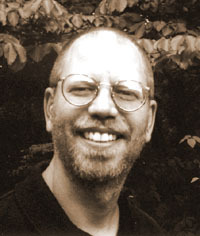 Eric Pankey is the author of five collections of poetry. His poems, essays, and reviews have appeared in Antaeus, The Antioch Review, The Gettysburg Review, Grand Street, The Iowa Review, The Kenyon Review, The New Republic, The New Yorker, The Quarterly, Shenandoah, and many other publications. Winner of the Walt Whitman Award from the Academy of American Poets, Pankey has received numerous grants supporting his work. He has taught creative writing at several colleges, including Washington University in St. Louis, the University of Iowa, and, currently, George Mason University. He lives in Fairfax, Virginia.